A significant portion of the U.S. population does not speak English as their first language. In fact, according to the 2013 American Community Survey (U.S. Census Bureau), 20.8% respondents (aged 5 and older) identified they spoke a language other than English at home; and 8.5% respondents indicated they spoke English “less than ‘very well’”. A language barrier can have a huge impact on vital facets of one’s life, from education to healthcare. As a healthcare professional, being able to speak a second language not only improves care for patients who communicate primarily in that language—it can also improve your career opportunities. There are approximately 25.3 million LEP individuals who live in the United States as of 2011, according to a July 2013 Migration Policy Institute article by Monica Whatley and Jeanne Batalova. This represents approximately 9% of the American population. The above six states (California, Texas, New York, Florida, Illinois and New Jersey) account for 67% of the 2011 LEP population in the United States, according to the Migration Policy Institute; but there is still a significant potential of interacting with those with limited English proficiency anywhere in the country. Effective communication is essential in healthcare. “Lack of English proficiency is a barrier not just to effective communication with individual health care providers, but also to accessing care in the first place,” states the Agency for Healthcare Research and Quality (AHRQ) in a 2010 report. Translation/interpretation services provided to LEP individuals in healthcare settings may be formal or informal. They can range from official interpreter services (i.e. someone whose profession is as an interpreter) to a bilingual family member or a staff member acting as translator. 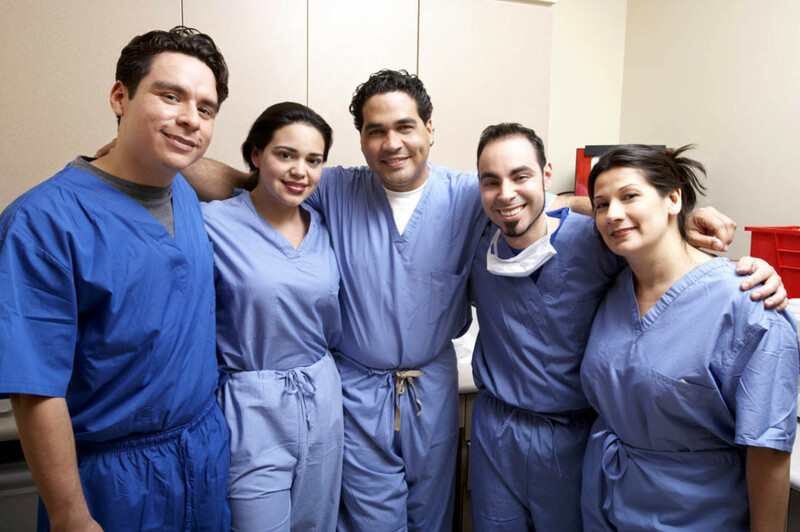 The ideal scenario—although not necessarily feasible as metropolitan hospitals can encounter dozens of different languages—is for a healthcare professional, knowledgeable with the patient’s condition, to be able to communicate in the language in which that patient understands. “A growing body of literature finds that language concordance between patients and providers (i.e., both speak the patient’s primary language well) results in greater patient understanding, leading to increased satisfaction…better medication adherence…greater understanding of diagnoses and treatment…greater well-being and better functioning for persons with chronic disease…and more health education…” stated the AHRQ. Thus, if you are currently pursuing a or working in a healthcare career, becoming fluent in a second language will undoubtedly help you stand out from the competition. Learning a foreign language can help further your healthcare career. his shortness of breath for an anxiety attack when, in fact, the patient was suffering from diabetic ketoacidosis, a complication of diabetes that could have caused a coma. Wherever you live, learning a second language will be a great asset to your healthcare career. The Migration Policy Institute cited that in 2011, 65% of LEP individuals in the U.S. spoke Spanish, so you might want to become proficient in that language first. But it also depends on the demographics of where you are working. For example, if you will be working in a healthcare facility near San Francisco’s Chinatown, you would probably benefit from learning some basic Chinese. If you are applying to sonography schools in Houston, Texas for instance, check out whether you can take foreign language courses as electives in Spanish, Vietnamese, Chinese, Arabic or Urdu (the top five languages spoken in Houston’s metropolitan area, according to the Migration Policy Institute, 2010). If you are already finished with school, and living in the Los Angeles, CA area for example, check out if any schools are offering continuing educational courses in Spanish, Chinese, Korean, Vietnamese or Tagalog. In New York City (where almost half the residents do not speak English in their homes, according to NYC.gov) you might want to take courses in Spanish, Chinese, Russian, Korean, Italian or another language spoken in the area. Research local and online universities/organizations to find out about second language or foreign language courses—some are offered specifically for healthcare professionals. You might also consider completing a language immersion program in another country. For example, the Baja California Language College offers a Medical Spanish Program in Ensenada, Mexico. Or the National Registration Center for Study Abroad advertises numerous medical language programs in countries such as Bolivia, Spain, Ecuador, Mexico and Costa Rica. There are also a countless number of language resources online. One example specifically related to healthcare is the Medical Chinese Online Teaching Module created by the New York University School of Medicine. Learning a second language can be amazingly fun, particularly if you choose to immerse yourself in opportunities so you practice speaking and experience another culture, from attending the Spanish and Flamenco Festival in Tucson, Arizona to the Taste of Polonia in Chicago, Illinois. Reach out to a cultural club offered in your community or at a local school to see if you can be teamed up with a language partner; they could help you with their native language and you could potentially help them with English. Who knows, a long time friendship could form. Learning another language will not only help you professionally. It will also allow you to immerse in some new and exciting experiences and most importantly provide quality care to a more diverse array of patients. More Ultrasound Schools Info is just a tap away.